Bring home an impeccable representation of resort like retreat and feel with this pristine white Cotton Sateen 700 thread count bed linen set styled with a handsome double line border in hues of blue. 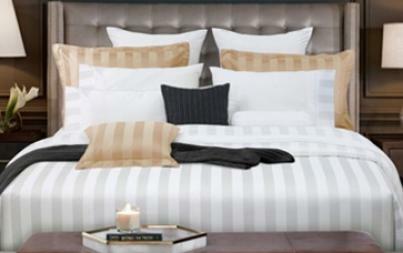 Add a touch of modernity to the bed set with our lustrous and smooth Adelle bed linen set. Made of Micro Modal, 800 thread count. 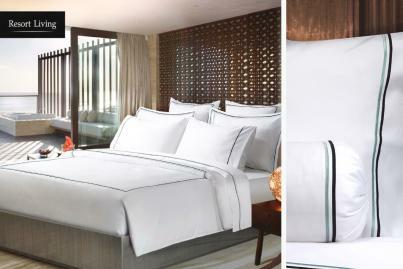 Sumptuous design that brings elegance to any bed room with its breezy hues and softness. 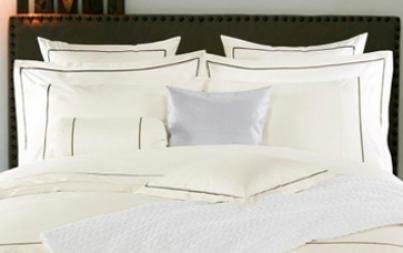 Made of Egyptian Cotton, 600 thread count. Styled with accessories or displayed by itself, this bed linen is a sure shot way to give a flawless modern look to your bed. Made of Supima Cotton, 500 thread count. Elegant living is enhanced with a minimalistic design. 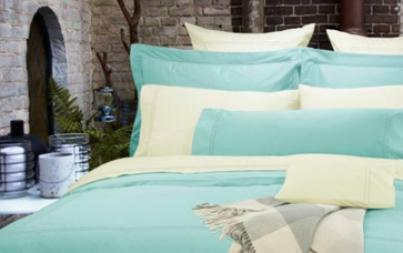 Our stylish yet modest bed set gives your room an up to date contemporary look. Micro Cotton, 600 thread count. 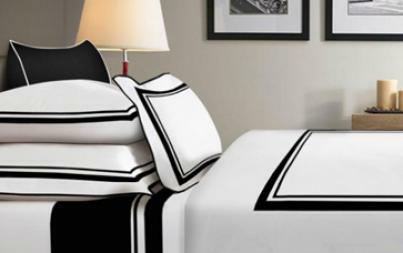 A perfect combination of exquisite black and white will get your bed looking immaculate. Made of Supima Cotton 500 in thread count. 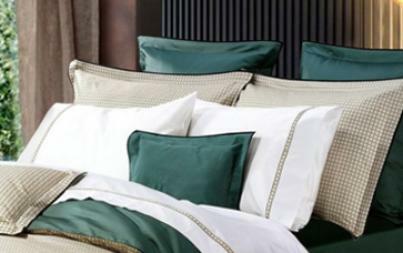 Achieved in fine micro modal cotton in 800 thread count, this collection feels exceptionally soft to touch and emulates retreat like luxury and coziness in the comfort of your homes. Set a calming atmosphere to your room with our Batik Chic bed set. 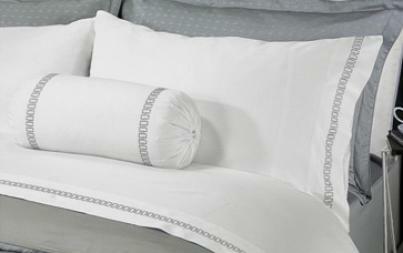 Made of Egyptian Cotton, 600 thread count. 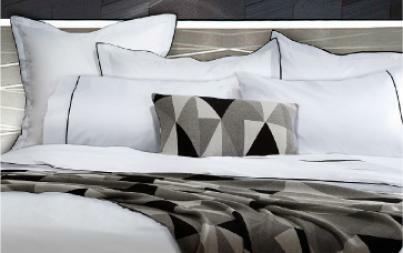 Suitable for all seasons, Cortese design is a promising pick for easy room upgrades by minimalistic black piping made of Supima Cotton 500 thread count. Creating a calming retreat for your relaxation. 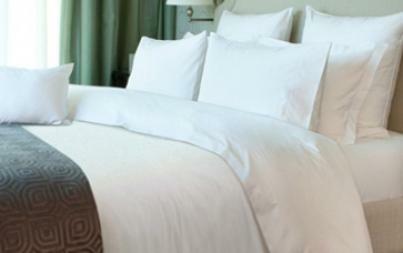 Soft to touch, Domani bed linen set is made of Supima Cotton, 500 thread count. Emulate a deluxe hotel like feel in the comfort of your living spaces with our timeless white sheets that are perfect for everyday luxury. 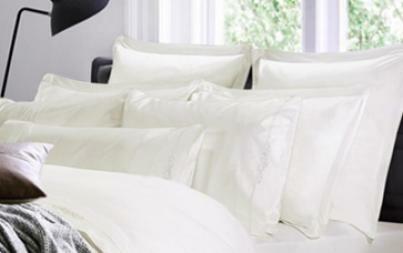 Made of Cotton Sateen, 600 thread count. 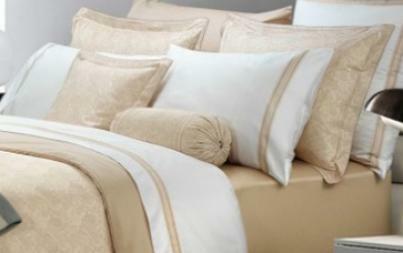 Nothing spells sophistication better than neutrals in lustrous fabric. 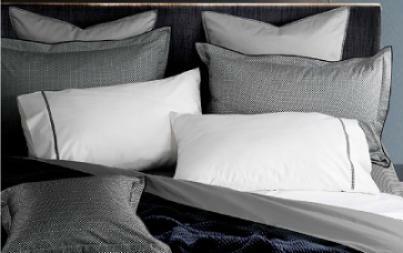 A range of solids in Micro Modal thread count solely dictates comfort and style. 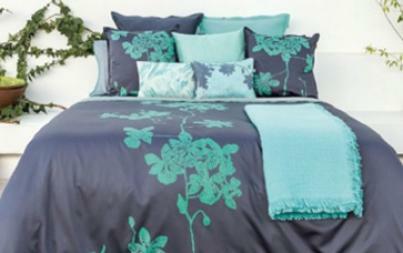 Made of Micro Modal 800 thread count. 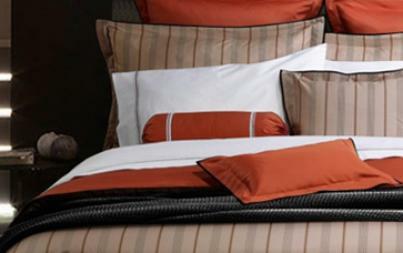 The Fascino bed linen brings a refreshed look to your personal space. Made of Supima Cotton, 500 thread count. 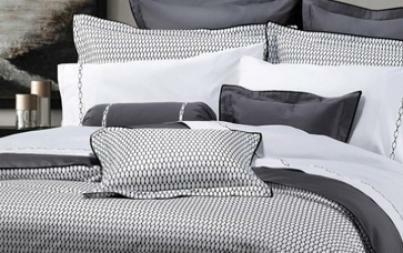 Fidato design is a beautiful combination of titanium, white and black crafted on Supmia Cotton, 500 thread count. A beautiful spread of intertwined spirals and patterns in muted hues effortlessly complements your classic contemporary style. Made of Supima Cotton, 500 thread count. 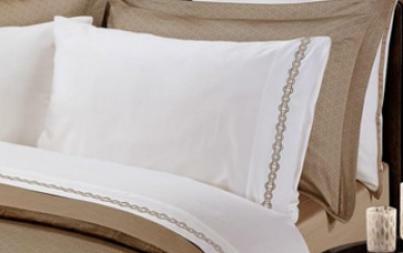 Dress your bed in our Margery bed linen set made of fine cotton and styled with subtle embroidery for added charm. Made of Micro Cotton, 600 thread count. An immaculate blend of sophistication and tranquility- Maschino’s blend of colours and prints sets the trend this season. Made from Supima cotton, 500 thread count. Play around with a minimalistic look that works well through the year with our Mirella bed set. Made of Micro Modal, 800 thread count.